Tomorrow to mark the National Day of Action on Bullying, Tannum Sands High School will be encouraging students to bring their mobile devices to school to send messages to one another during assembly. Normally discouraged from using their smartphones at school, Tannum students will be asked instead to send a helpful text – a message that shows empathy, that will build up a fellow student, teacher or staff member, rather than cutting them down. “It’s so easy with technology, we’ve all become very accustomed to shooting off a snappy one-liner but what we’ll ask them to do next week is send a message to one of their peers saying something positive,” Ms. Shuttleworth said. 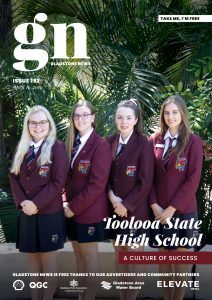 Roseberry Queensland Youth and Family Support Officer, Tina Bunge, says the key to increasing your resilience to bullying or avoiding it altogether is indeed to be found in building yourself up and building up your networks. “Just don’t try to do it on your own; you are never alone in this,” she said. In the past, victims of school bullies got a little respite when they went home for the day, but with cyber-bullying, the torment doesn’t stop when students leave the classroom. 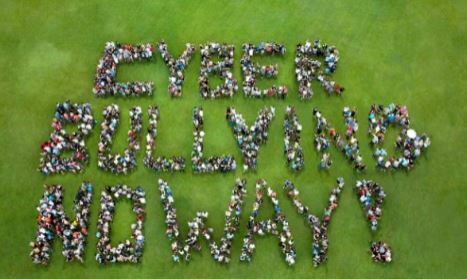 Cyberbullying so extreme it leads to mental health issues, self-harm and suicide is considered such a societal issue, it is the subject of a current Senate enquiry. Tina says treat trolls like the Hollywood stars do: whatever you do, don’t read the mean Tweets…. “Don’t respond; just ignore it; Block them, if they’ve written something abusive, keep a record and block them after you’ve screenshotted the evidence, but just don’t respond,” she said. “As hard as it is, don’t read the comments. Because it’s not really about you, it’s about them and their issues,” she said. All Gladstone region state and independent schools are participating in the National Day of Action on Bullying on Friday, March 16. The National Day of Action against Bullying and Violence (NDA) is Australia’s key anti‑bullying event for schools and encourages all Australian students to stand united against bullying and violence in the classroom, in schools and beyond.